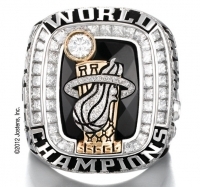 Congrats to Lebron and Dwayne Wade! 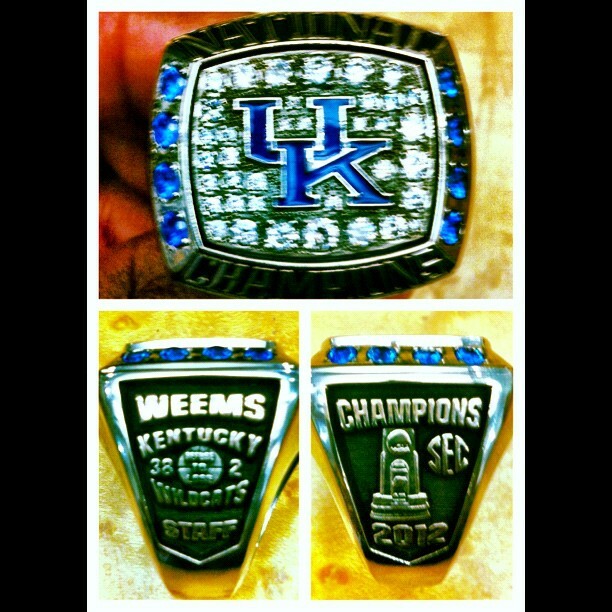 These are the 3 rings Auburn got for winning the 2010 National Championship. 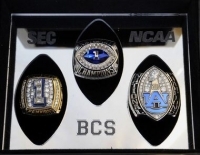 The one on the left is the SEC Chamionship Ring, the middle one is from the BCS for winning the BCS National Championship and the one on the right is the ring created by the school to celebrate winning the National Championship. 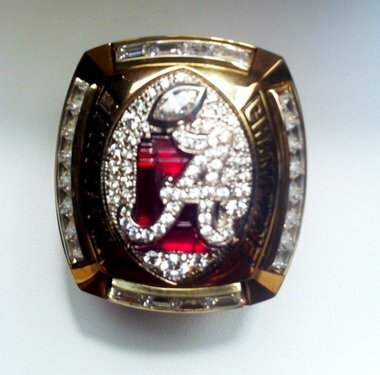 Alabama's reward for whipping LSU! 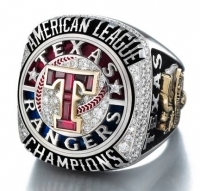 The Texas Rangers selected Jostens, a leading designer and producer of custom jewelry, to design and produce the ring to recognize the Rangers 2011 American League Championship and back–to-back success. 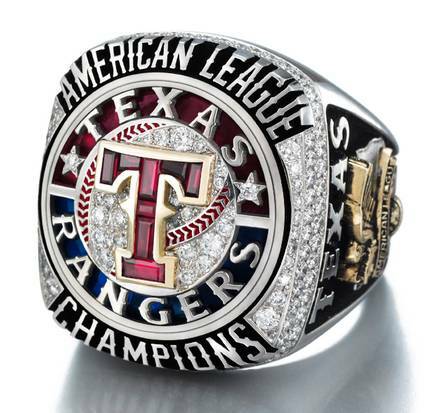 Crafted in 10 karat white gold, the ring crest prominently features the familiar Rangers “T” in yellow gold set with custom cut rubies. 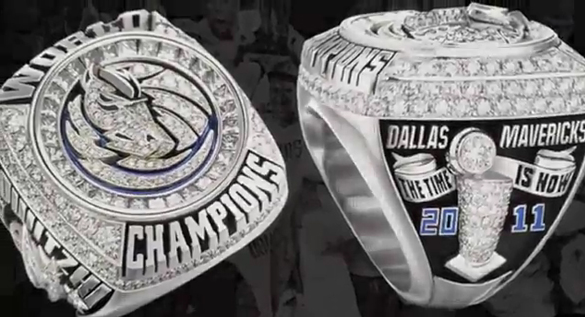 Mavericks NBA World Champions Ring! 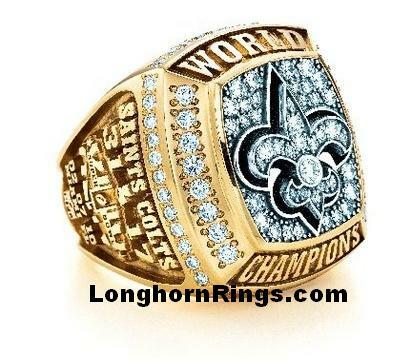 As a Maverick's fan, all I can say is WOW! The Saints received 14-karat, yellow-gold championship rings to commemorate their victory in Super Bowl 44. 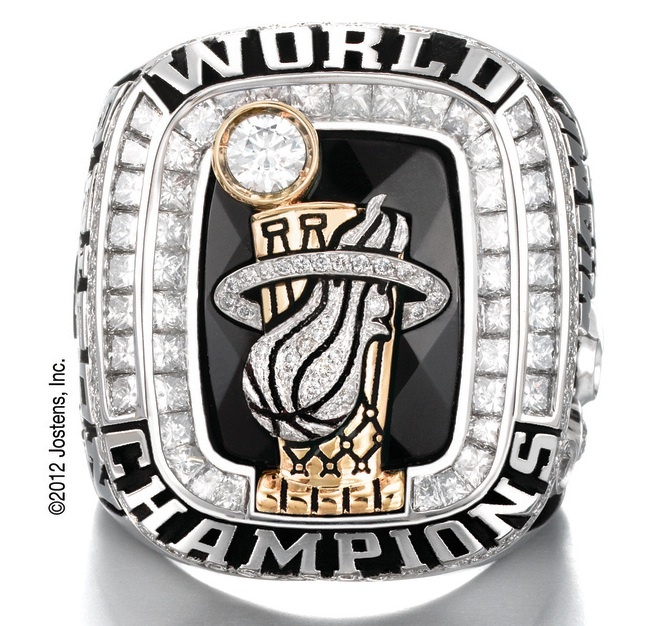 16 diamonds surround the face of the ring which represent the 16 wins during the 2009 season. 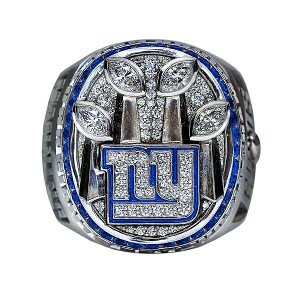 Forty-four diamonds circling the entire ring symbolize the 44th Super Boiwl. 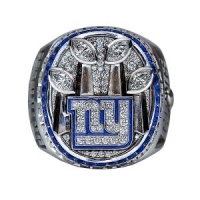 The .06-carat round diamond in the center symbolizes the team's first Super Bowl win. 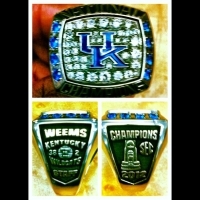 I bought this the other day on ebay. 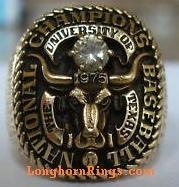 Now I only need the 1950 National Championship charm to complete my collection of Texas Longhorn baseball National Championship rings. 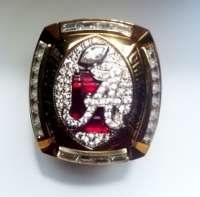 Currently I own national championship jewelry from 1949, 1975, 1983, 2002 and 2005!